When the Pasco Senior Center was put up for sale, Senior Life Resources needed a place to cook the thousands meals delivered weekly to homebound Tri-Citians. Steve and Shirley Simmons, the owners of C.G. Public House, stepped up. “Not only did they open their doors to help Meals on Wheels, Steve has helped spearhead fundraising to help Meals on Wheels purchase hundreds of thousands of dollars in kitchen equipment,” said Kathy Balcom, a Tri-City advertising executive. But that is just one of the countless examples of the Kennewick couple’s service to the community that earned them the title Thursday night of 2017 Tri-Citian of the Year. Balcom, along with Kris Watkins of Visit Tri-Cities and fellow restaurant owner Don Karger, nominated the pair for the region’s top civic honor. Steve and Shirley provide continual community support quietly, without any expectation of credit. They contribute because they genuinely care about this community and making it a better place to call home. Karger and Balcom specifically singled out the couple’s work helping Meals on Wheels while a new facility was built in Richland. “If not for them … this program would not have had the ability to feed the hundreds of people that are nourished daily,” Karger said in his nomination letter. The two dedicated time, resources and service to more than 45 local organizations, including the Reach center, the Richland Public Facilities District, the Carousel of Dreams, Kids Haven, United Way and the Tri-City Chamber of Commerce, to name a few. In 2015, they provided Christmas dinner for families spending the holiday in Kadlec Regional Medical Center’s neonatal intensive care unit. “Steve and his family set aside a few hours of their Christmas plans to honor the commitment made to the March of Dimes,” Balcom wrote. The nominators said they exemplify community service to their family, employees, patrons and the community. They truly understand the needs of the community and the sacrifice it takes to make it work. 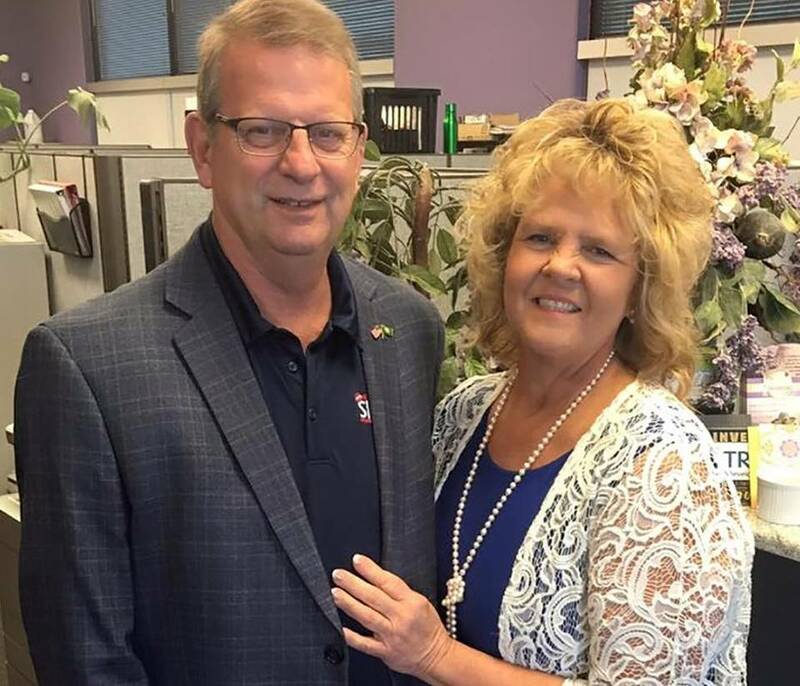 Steve Simmons spent years working for Firestone Tire and Service Centers, while Shirley Simmons was a partner in the Country Gentleman restaurant. In 2002, he joined her in the restaurant business. The recently renamed it C.G. Public House. The couple has four grown children. As business owners, they became active members of Visit Tri-Cities. Steve began serving on the organization’s board of directors in 2015 and worked to advance the tourism industry, wrote Watkins. “Steve and Shirley Simmons are an incredible team. I recently heard Shirley say, ‘Steve is the meeting-bee and I am the worker-bee,’ wrote Watkins. The Tri-Cities has its own dynamic duo — a powerful pair who over the years, in their own quiet way, have fed the needy, encouraged the young, boosted community spirit and even saved a valuable program for the elderly. Their giving nature was recognized Thursday night when Steve and Shirley Simmons of Kennewick were named recipients of the 2017 Tri-Citian of the Year Award. As always, the committee in charge of the prestigious prize has made a fantastic choice. The Tri-Citian of the Year is regarded as the highest honor bestowed in the community and is sponsored by the Rotary Clubs in the Tri-Cities. Steve and Shirley Simmons certainly fit the criteria. Steve Simmons earned his associate’s degree at Columbia Basin College in 1973. He worked his way up from an automotive technician to general manager of several Firestone Tire Service Centers in the Tri-Cities, before joining his wife in the restaurant business in 2002. Her parents founded Wyatt’s Pancake Corral in 1979, which was renamed The Country Gentleman in 1984. Shirley became a partner in the restaurant in 1996, and added a successful catering service. Recently, the restaurant was renamed again and is now the C.G. Public House. They are known for generous contributions of food to charitable organizations, and their willingness to pitch in when a community group needs help. A great example of that is when the Meals on Wheels program lost its kitchen when the Pasco Senior Center went up for sale. Steve and Shirley were contacted in early 2015 to see if The Country Gentleman kitchen could be used to cook the thousands of meals that are delivered weekly to the homebound. The program needed a temporary home until it had enough money to build a new, permanent facility of its own. Not only did Steve and Shirley share their restaurant kitchen, Steve led the fundraising campaign to help Meals on Wheels buy kitchen equipment worth thousands of dollars. Over the years, Steve has been a leader on many boards and commissions that include the United Way, the Hanford Reach Foundation, the Richland Public Facilities Board, the Tri-Cities Visitor and Convention Bureau, the Carousel of Dreams, Sunrise Rotary, the March of Dimes and the Washington Restaurant Association. And this is just a spattering. There are actually many more organizations that have counted on Steve’s willingness to serve or give. Shirley, too, has been heavily involved in the community over the years, helping out with business and children’s organizations, as well as the Soroptimists. Together, they make a wonderful team. The couple was nominated by Balcom and their four grown children, Nikki, Steph, Jason and Kyle Simmons. We are always grateful to the people who give so much of their time and energy to make our community stronger. Steve and Shirley Simmons are definitely among those who represent what the Tri-Citian of the Year honor is all about.